Great for Online Re-sellers, eBay and Flea Market. Please note that these are items are mostly still in retail packaging most as good as new. We have not inspected or tested these items. This Listing is for the full pallet (Approximately 145 Items). Not separate items. See Manifest Below Or Contact us for details. 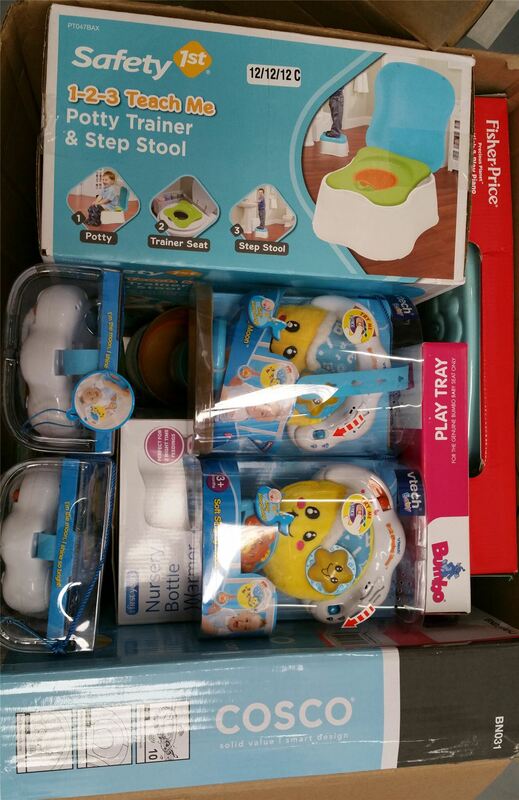 Click the button below to add the Wholesale Lot Infant,Baby, Toddler Items Brand New to your wish list.